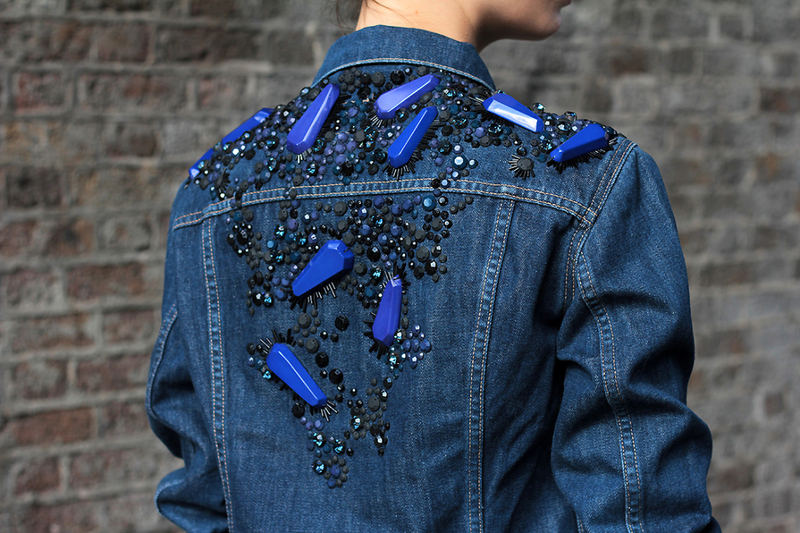 You’ve got to love Anne Bernecker’s pre-loved and newly-embellished Levi’s and army surplus jackets. 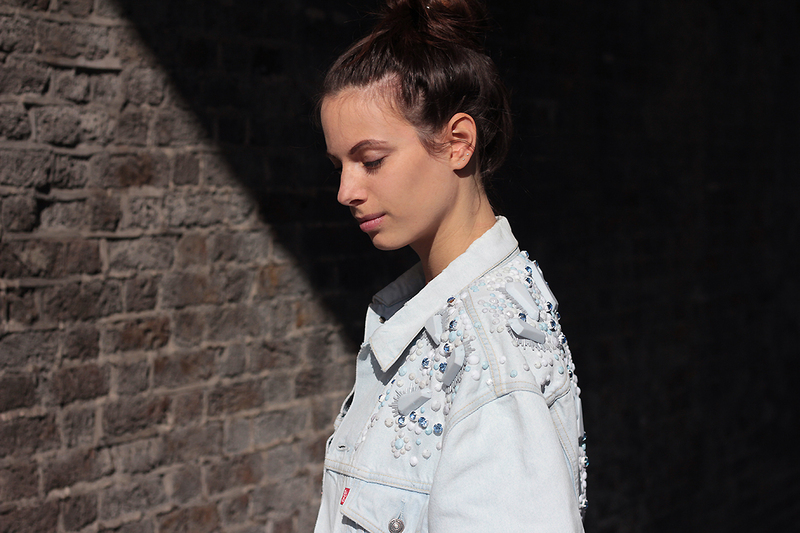 Anne – one of those creative individualists you come across in the fashion industry – is a street style photographer par excellence and now she’s a budding entrepreneur too with a new online shop. 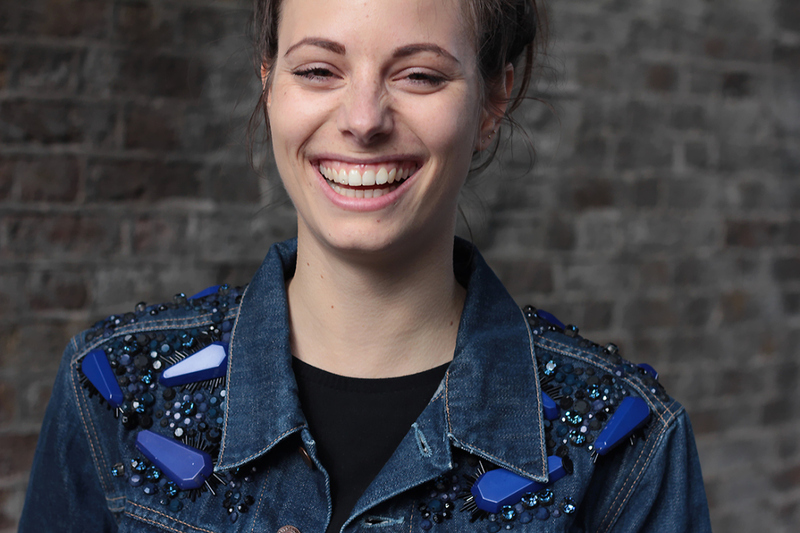 The jackets, in indigo, camo and washed-out almost-white hit the boyfriend-sized slouchy sweet spot for SS16. But there’s nothing gender-neutral about the beading. 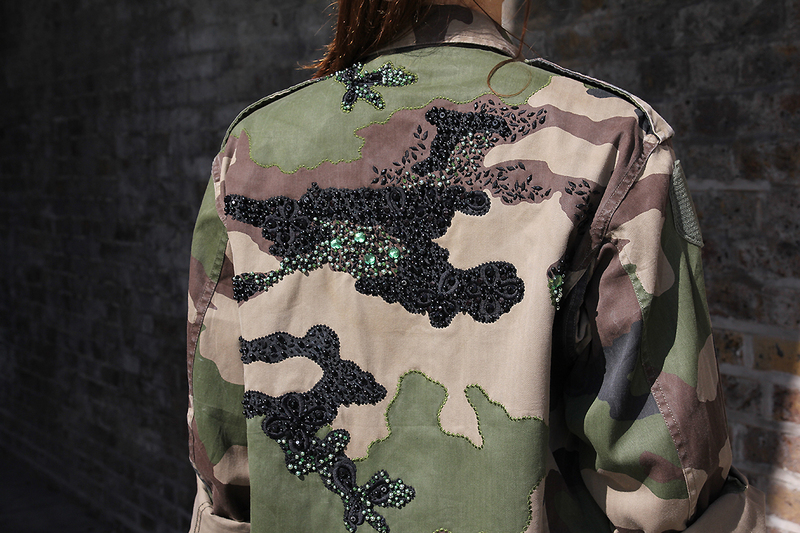 Whether it’s heavy, oversized Perspex domes or tiny, caviar-like beads (looking particularly good on the camouflage jacket), these pieces are totally on-trend.